Just in time for Cinco de Mayo, you can enter to win an 4 all-natural seasoning mixes from Casa Mexicana™! 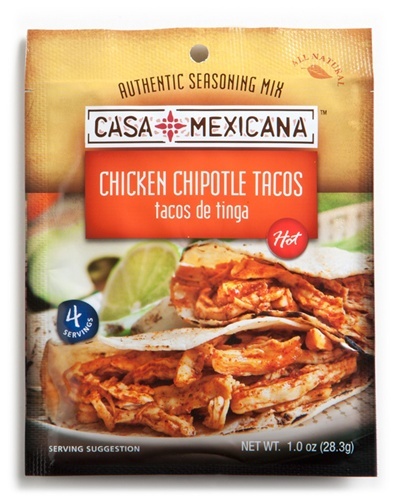 Each seasoning packet allows you to make authentic Mexican fare, right in the comfort of your own home! Each delicious flavor is free of MSG, hydrogenated fats, and artificial preservatives, and serves 4 adults. You can spice things up in la cucina tonight with their Fish Tacos, Chicken Chipotle Tacos, Chicken Fajitas, or Beef Tacos. Ole! From April 30th – May 5th, you can enter to win daily on Tiny Green Mom! First, leave a comment below to let us know which recipe you would like to try with the Casa Mexicana™ Seasonings. Follow Tiny Green Mom on Twitter. Join the Casa Mexicana™ email list on their website. This is only valid for one entry. The All-Natural Casa Mexicana Seasonings Giveaway ends on May 5th, 2011 and is open to the US and Canada only. Please leave your email address in each comment, and make sure to leave a separate comment for every each and every entry that you make so that they will count for you! When it comes to your daily routine, you have probably embraced all kinds of eco-friendly practices, such as the 3 Rs (Reduce, Reuse, Recycle), energy conservation, and of course, lower-emission modes of transportation. So when it comes time to plan your summer vacation, you probably want to carry on in this green capacity. And yet, you may be stymied by all the potential pollution that lies ahead when you fly to your destination and shack up in a hotel for a few days. You’ll face off-the-charts emissions from airplanes and rampant energy use at your commercial lodgings (and that’s just the tip of the iceberg). So what can you do to get in your fun summer vacay without a cloud of guilt hanging over your head? 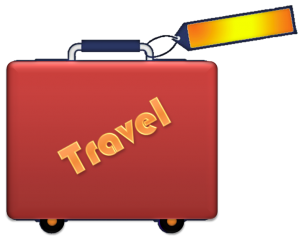 Simple; follow some of these tips to plan a greener trip this season. For starters, think about your many possible modes of transportation. 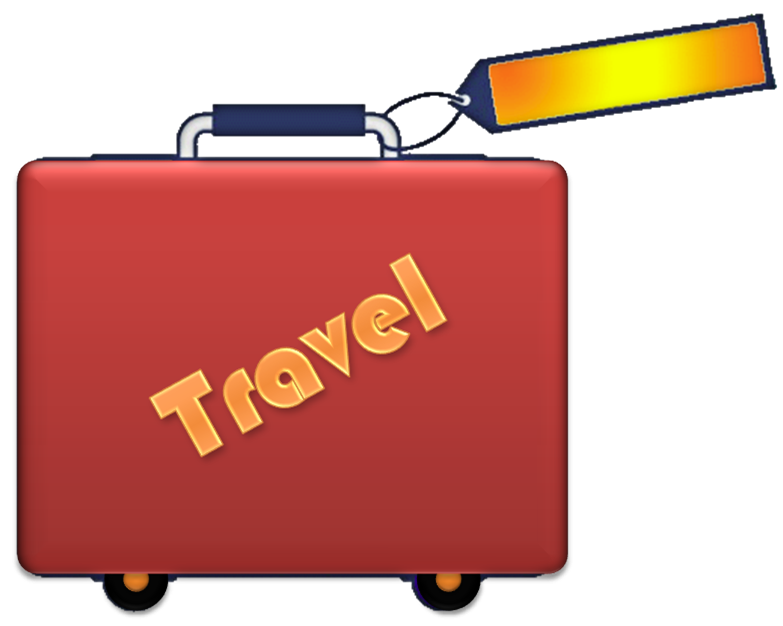 You may have to travel by plane, train, car, or boat to get where you want to go, but which one is best? And how can you reduce your carbon footprint when you have to choose a less eco-friendly option? Although you might think a cruise will provide the greenest vacation, ocean liners are actually the worst offenders when it comes to pollution. Despite the fact that an all-inclusive vacation is pretty appealing to the person making the plans, consider the fact that a cruise ship has higher emissions than an airplane traveling the same distance, uses tons of energy, and dumps waste into both the water and every port of call. If you simply must hop aboard a cruise ship, at least choose a new model and sail out of California or Alaska, both of which have stricter environmental regulations concerning boats. Of course, airplanes aren’t much better; a cross-Atlantic flight produces carbon emissions equal to every passenger’s yearly driving (combined). But you can find better ways to fly. First, you can plan your trip with only non-stop flights. Although you may pay a little more for doing less harm, you should know that planes burn the most fuel taking off and landing, so cutting even one such event out of your trip could drastically reduce the damage to the environment. You should also frequent airlines that are doing their part to embrace and eco-friendly attitude. American and Continental have both improved energy efficiency on their aircraft, which Virgin Atlantic is developing a jet that beats an SUV for fuel consumed in an hour of travel. Trains are even better, requiring half the energy of planes, and of course, hybrid and electric vehicles are great if you have the option. The cleanest mode of transportation, as always, is hiking or biking, which causes zero emissions, but it may not be practical if you have kids in tow. And if you really want to spend some time on the water, think about going to a nearby lake with an oar-propelled canoe. You can seriously cut back on waste created during travel by staying close to home and going camping instead of booking a room at a hotel. If you still want to see the world, check out the options for eco-tourism. A visit to the International Ecotourism Society website will not only give you helpful hints to make your travel plans greener, it will also provide you with eco-friendly destinations that will fulfill your desire to see an exotic locale while still reducing your carbon footprint. Sarah Danielson writes for Mauritius Holidays where you can plan your next exciting vacation. Take a sail around the dinner table with these refreshing fruit boats – they make a lovely dessert or afternoon snack! Combine all fruits and juice in a blender or food processor until pureed. Add more banana if mixture is too thin. 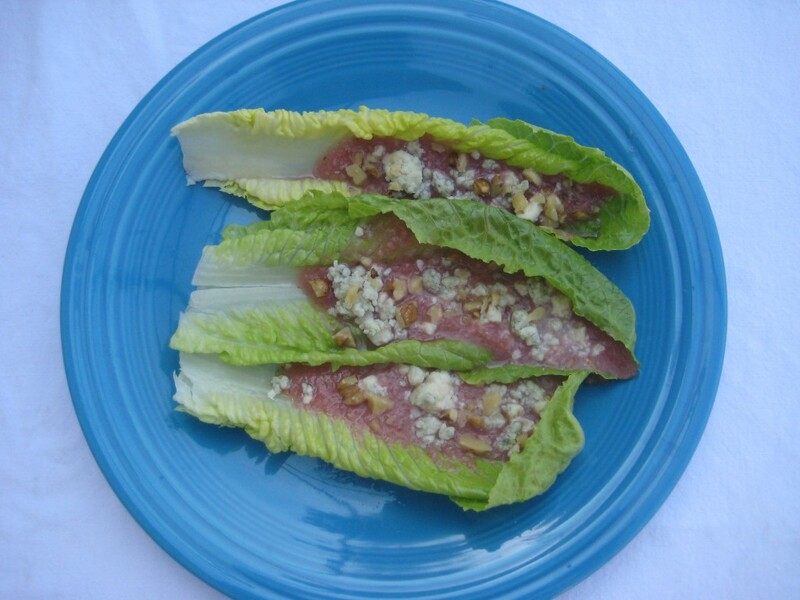 Arrange endive leaves on a large platter. Pour fruit mixture into each leaf. Sprinkle with cheese and walnuts. Have you heard of Organic Popping Sorghum? Neither had “Mom!” Sorghum is a very unique little grain boasts so many amazing qualities and apparently can be popped just like popcorn! Who knew?! Itty bitty and oh-so-cute, these hull-less (yes – you read correctly! No more hulls in your teeth after eating!) little whole grains are gluten-free, corn-free, and low in calories, yet high in protein and fiber! For those with sensitivities or allergies to corn or gluten, enjoying a bowl of this popped snack is truly a treat! Plus, for people suffering from Diverticulitis or Crohn’s Disease, there is no need to be concerned about the hulls that are hard to digest, and thus sorghum makes a fantastic alternative. 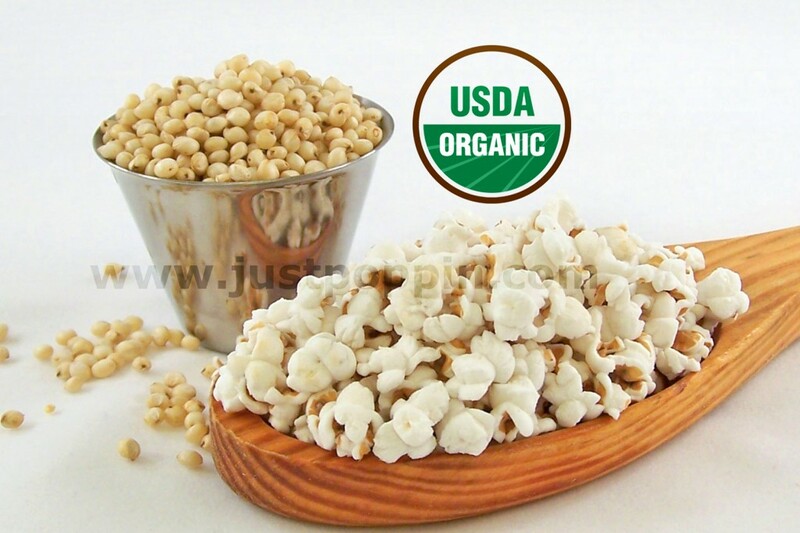 Made in the USA, Organic Popping Sorghum by Just Poppin Popcorn is a carefully cultivated variety of sorghum. When popped, sorghum looks and tastes just like miniature premium popcorn, but is a bit sweeter and has a slightly nutty flavor. How do you make it, you ask? Place oil and 3 unpopped kernels in your popper over medium heat. Once the kernels have popped, add the rest of the unpopped kernels and continue popping. When popping is completed, add salt, butter (optional) and other seasonings to your liking. Have fun – experiment! To store leftovers (if there are any! ), place in an airtight container in a cool, dark place. Just plain FUN – Organic Popping Sorghum is sure to be a hit with the entire family! Whether you eat it popped, use it to make cold salads or granola, this nutritious little grain is extremely versatile. For more information on Organic Popping Sorghum, or to order, visit JustPoppin.com. Touted as the “break-out snack food of the 21st Century,” Organic Popping Sorghum, by Just Poppin Popcorn, is simply fascinating! The creators behind Just Poppin Popcorn, who produce the finest Organic Popping Sorghum available, took a minute out of their day (when they weren’t popping corn or sorghum, of course!) to answer some questions for Tiny Green Mom. Founded in 2007, Just Poppin wasn’t exactly eco-inspired. However it is eco-influenced. What I mean by that is that we reduce waste in every way possible. We use recycled, recyclable, reusable, and biodegradable packaging and shipping materials – much of which has received Cradle to Cradle Certification. Our popcorn and other products are non-GMO – not genetically modified. We’re incredibly excited and proud of our newest product – Organic Popping Sorghum. It is a naturally eco-friendly crop which is sustainable, and organically grown and harvested. Like many people, we do what we can within our means. So while we don’t have solar power for instance, we do recycle (what is not recycled by trash collection we take to recycle stations). We collect condensation water from our A/C to water plants, fill the bird bath or wash outside things and we installed a 1/2 flush system on our toilet. We use reusable steel water bottles, a high efficiency front load washer and dryer, CFL bulbs, reusable shopping bags, and we compost in our worm farm. Try to find the time to learn about things to help you to be more efficient and sustainable and implement those things if possible into your life and business. Although organic foods are becoming more popular today as people discover their health benefits, many consumers do not think about the way that organic foods are packaged for shipping! Most containers, whether plastic, aluminum, or boxes, contain many elements that are far from organic. Chemicals included in these packages may affect the purity of these foods and should be considered when buying organic products and going green. • Many organic foods are packaged in products that contain BPA, recycled materials, or other artificial products. Although the food is organic, its containers are usually not. BPA stands for Bisphenol-A, an organic compound used to make polycarbonate plastic and epoxy resins, and in which some consumers have safety concerns. • Some stores that sell organic foods require that the packaging also be organic. This is difficult and requires special orders on a frequent basis because of the absence of preservatives. Shipping rates of products rise substantially when products cannot be purchased in bulk, and this is the case for many organic goods. • As many buyers know, organic products can have extreme benefits for children and families because they contain only the nutrients that they are grown with. Some people believe it keeps children from starting puberty too soon. • Shipping rates can be higher for items packaged organically because the producer pays more to get the product to the store quickly. Stores have to pay more, so consequently, buyers pay more. • Expect frequent changes in product availability. Seasonal shifts and differences in farmers’ abilities to ship goods do not always allow fruits and vegetables to be shipped to stores. • In the future, organic producers are looking into edible packaging. Although it sounds strange, some people agree that if all products are organic, that would be the best option. Only time will tell if this becomes the norm. • Many people think that product packaging may rub off on the organic food. Of course, this is being researched and may be a key factor in companies changing the way they ship food. Because of a lack of studies and evidence on this matter, many people are choosing to safe rather than sorry and make sure they purchase organic foods in organic packaging. • Few companies do guarantee that their food is also packaged organically. They do aim to use products that are “green,” or environmentally-friendly. Some containers may include recycled materials, biodegradable elements, and reusable shipping items. The most common are paper bags and recycled plastic or boxes. • Some of the easiest ways that people can go green include packaging options. Right in their own homes, people can bring water in reusable containers instead of buying plastic ones from the store. Although not considered organic, many find that this better for the environment. • Pure foods contain essential vitamins and minerals that other foods may not. For healthy growth and development, parents should begin looking for products that are packaged organically as well, since there may be links between inorganic packaging and food contamination. This vegan, gluten-free and low glycemic (with coconut crystals, not brown sugar) dessert is so delicious your guests won’t even know it’s so good for them! 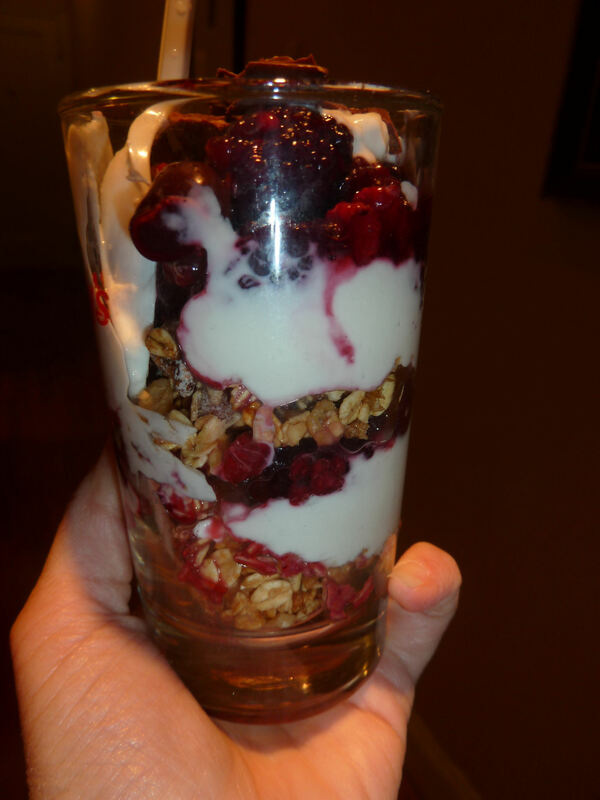 You can use other fruits and berries if you like for the filling. Please use organic ingredients whenever possible. In a large bowl lightly mix all the ingredients together and pour into a large baking dish sprayed with organic non-stick spray. Set aside and make the crumble topping. Pre-heat your oven to 350 degrees. In a large bowl mix all ingredients together well. Evenly pour the crumble over the fruit mixture. You may add a few raspberries, blackberries, or blueberries to the top before baking. 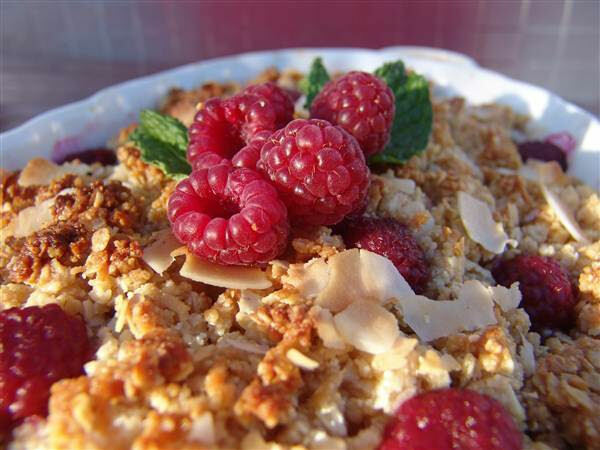 Bake the crumble in a 350 degree oven for about 20 to 30 minutes. Start it out covered and then uncover it after about 15 minutes. It helps to soften and cook the fruit. You can also refrigerate the crumble overnight and bake later. You may need to bake a bit longer if you bake right out of the refrigerator. It is great served warm with ice cream, rice dream, or coconut non-dairy ice cream. Visit the Kora Organics Blog (under Chef Kate) for more healthy organic recipes and articles. Cardio and weight training are two very different types of exercise. One is designed to help you lose weight (and improve cardio-pulmonary function) while the other is meant to build muscle (and reduce fat). But whether you’re looking to shed the freshman fifteen (or the long-since graduated thirty…we’ve all been there) or you want to bulk up, there are benefits to both types of exercise. And often, a combination of the two will deliver better results no matter what your end goal is. So if you’re not sure how you can put cardio and weight training to work in order to get the body you want, here are just a few benefits of each that might set you on the right path. Let’s start with cardio, which is recommended for everyone regardless of how they’re trying to manipulate their musculature. Doctors agree that an average of 30 minutes of cardio 3-5 days a week (depending on intensity) is advisable for everyone. It could be something as simple as walking around the block a few times to engaging in a heart-pounding Zumba class; whatever floats your boat and accounts for your physical limitations. And if you do enough cardio, you will lose weight (it’s a simple matter of burning more calories than you consume). But even more than that, this type of exercise has the potential to shrink fat cells, tone muscles, increase cardiac function, and generally help you to breathe easier every time you walk up a flight of stairs (hey, don’t knock it…sometimes that’s what it takes to make people realize they need to exercise!). In addition, your body was meant to move. Cardio will loosen tight muscles and increase range of motion (along with circulation), which will help you avoid injury and make you feel energized and happy (hooray for serotonin!). Plus, it’s a great way to reduce stress and regain focus. So cardio is great. But what about weight training? Certainly it is necessary if you want to bulk up. But did you know that it can help even those who are trying to lose weight? As you may or may not be aware, muscle is actually heavier than fat. So most people in weight-loss programs eschew the use of weights. But this is a mistake. Muscle also burns more calories. So adding some light weight training to your cardio routine, in essence turning your fat into muscle, might make you gain a little initially, but it will help you to lose more (and faster) in the long run, along with creating the lean body you probably crave. But there’s more. When you start using weights to increase your muscle mass, you don’t just strengthen muscles, you strengthen your whole body and protect it from possible injury. Stronger muscles, ligaments, and joints (the result of weight training) will improve posture and better support your skeletal system, preventing bone loss and even osteoporosis. It has the potential to increase balance, endurance, and stamina, as well. In short, it does a body good. And don’t forget that adding cardio to a weight-training regimen will keep you from adding fat along with muscle when you increase your caloric intake (effectively helping you to cut while you bulk). So whether your end goal involves losing weight, gaining muscle, or some combination of the two, you should really consider including both cardio and weight training in your exercise routine. The benefits of both cannot be overestimated, not only for longevity, but also for quality of life. 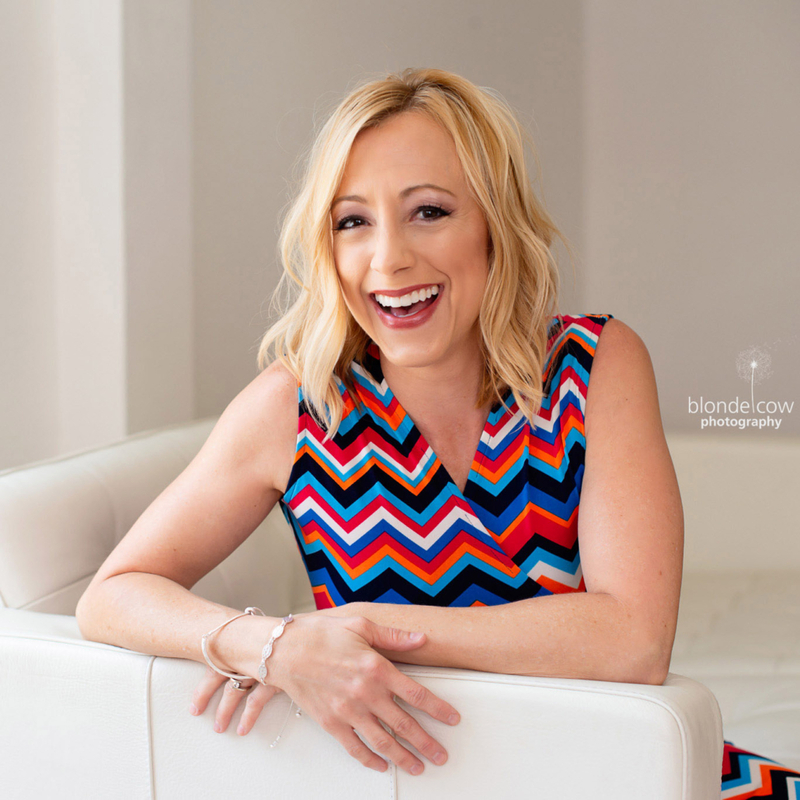 Sarah Danielson writes for AdvanceMe, the nation’s leading business cash advance provider. Assemble the ingredients ahead of time for a fun afternoon activity with the kiddos – they will love choosing their own organic ingredients to make these healthy cereal sundaes! Layer ingredients as you would a sundae. Sprinkle hemp seeds and chocolate morsels on top. 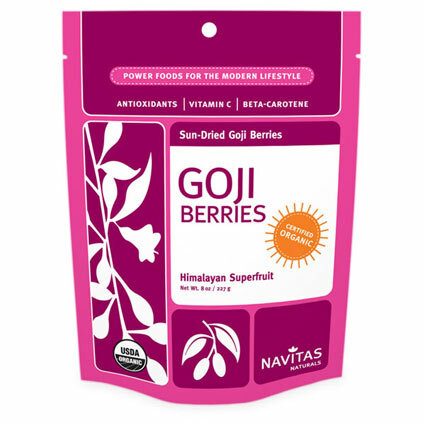 Navitas Naturals offers antioxidants at their best, in nutrient-rich organic superfoods in powder form, seeds, or berries. For an easy addition to foods that provides you with optimal health benefits, Navitas Naturals is an excellent choice. The newest addition to their line? Navitas Naturals Organic Freeze-Dried Maqui Berry Powder! Why Maqui Berry Powder? The latest powerhouse to emerge from the rainforests of South America, maqui leaves and fruits have been used in traditional native herbal medicine to treat a wide variety of ailments. ORAC assessments of the maqui berry by the most reputable ORAC labs have indicated that it contains more antioxidants than any other berry! In addition, Maqui also has anti-inflammatory properties, which can benefit people affected by arthritis and other inflammation ailments. Navitas Naturals Maqui Berry Powder is freeze-dried, raw, kosher, gluten-free, vegan, and 100% organic. This Patagonian Superfruit also boasts Vitamin C and dietary fiber, as well! To learn more about its’ benefits, visit NavitasNaturals.com. “Mom” made a quick salad using one of Navitas Naturals’ recipes sent along with the Goji Berries and Maqui Powder. Simple and easy to whip up, this unique salad is brimming with antioxidant power! Thinly slice the apple and add all ingredients together. Works well with an oil and balsamic vinegar or creamy dressing. You can use Navitas Naturals cashews in place of the walnuts. Additional recipes can be found here: www.navitasnaturals.com/recipes. Nutrient-rich whole foods are at their best when they are produced via organic agriculture and minimal processing methods. That is why all Navitas Naturals products are certified organic, and use methods such as freeze-drying to ensure maximum nutrition. Food safety is very important to Navitas Naturals, which is demonstrated by the rigorous third-party testing of their superfoods. Since 2003, Navitas Naturals has been committed to socially responsible business. Their direct purchasing partnerships create and expand fair trade opportunities for farming communities in developing regions around the world. 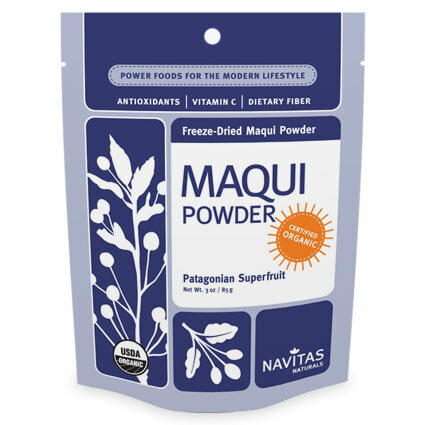 In addition to maqui, Navitas Naturals offers a vast selection of organic superfoods such as raw cacao, hemp seeds, acai, maca, camu, pomegranate, chia seeds, and goji berries.